Hallett - Living History - A Great Life in Hallett A Great Life in Hallett: moving to the country, information and opportunities. Many of the original settler families still live in the area. When you stop in town, take a minute to say hello, they're proud of their agricultural accomplishments. Australians are largely unaware of Sir Hubert Wilkins who was born in the area (take the Dares Hill Drive to see where he grew up). 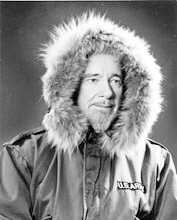 Wilkins had some amazing 'firsts' including arctic photography, flying a plane in Antarctica and piloting a submarine under the north polar ice. Dares Hill Tourist Drive is 128 kilometres of rugged pastoral country, and fantastic views of the northern Mt Lofty and southern Flinders Ranges. Make sure you fill up with petrol before you go, and take a picnic (there are no services en route) and your camera, and let the shop know you're going. See Sir Hubert Wilkins' cottage, historic ruins, and Aboriginal rock engravings. The Drive passes the historic train platform where General Douglas MacArthur gave his famous I Shall Return speech. The drive finishes at the historic railway town of Terowie - well worth a look.